Watching a TV these days is like staring out of a window. Seriously. Screen resolution has progressed to the point where the picture on the screen feels like it’s hyper-realistic: even better than our own vision. The problem is that sometimes it feels like our audio hasn’t quite caught up just yet. For whatever reason, we tend to be focused on the visuals, and we let the sound suffer because of it. While great video quality can help immerse us in the media experience, we forget how important sound can be for the suspension of disbelief. Now that we can record high-quality video right from our phone, we are able to eternally preserve our memories in high-definition. Unfortunately, the sound quality leaves something to be desired. There is something about phone-recorded audio that feels startlingly detached. The lack of a directional mic means that every sound, no matter where it is coming from, combines into a muddy mess. 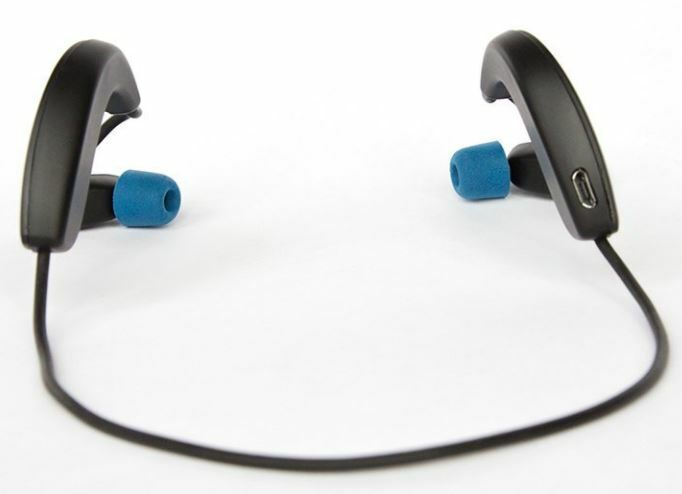 Meet Hooke Audio’s Verse, a pair of Bluetooth headphones with immersion in mind. 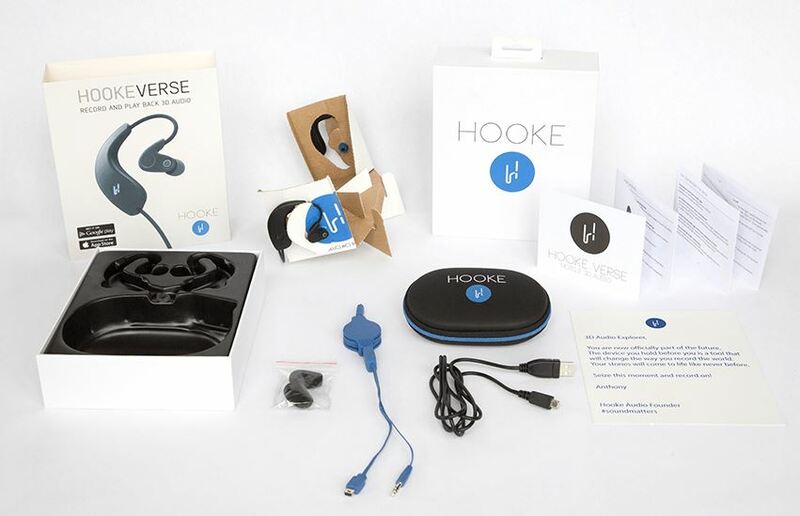 The Hooke Verse incorporates binaural microphones into its design, which is a technology that allows the headphones to record 3D audio. But what is 3D audio? Good question, us! The Verse works by using its specially placed microphones to capture sound based on location. So, when you play the audio back, you play it back exactly how it was heard. It basically turns your head into a microphone sound array. When we first heard of Hooke Audio’s Verse, we weren’t particularly pumped up about them. We assumed that the only way we’d be able to playback the 3D sound was to listen to it through the Verse headphones themselves. Not so! Once the 3D audio is recorded, you don’t need any special equipment, software or algorithm. Once it’s recorded in 3D, the audio stays 3D, no matter what 2-channel audio source you play it through. You can imagine our initial skepticism; it sounds a little too good to be true. Luckily, our skepticism was unfounded. The Verse’s performance on Kickstarter, with 1,385 backers, with a total funding of $163,166, is proof that we’re not the only ones who have lost our sense of skepticism. We’ll get straight to the point. The Hooke Verse is fricken’ awesome. It makes recording video and audio a completely new and spectacular experience. When we say that it has the potential to change the way we think about media recording, we aren’t just blowing smoke up your rear. While recording 3D audio is not a revolution invented by Hooke, it is one that they intend to make accessible to everyone, not just people with thick wallets or studio support. When we first got our review model, the first thing we did was sift through the collection of goodies that come packed in the box. Included in the packaging is the Hooke Verse headphones themselves (it would be pretty disappointing if they weren’t, huh? ), memory foam ear tips in three different sized (small, medium and large. Sorry, plus-sized ear canals), silicone ear tips (also in small, medium and large), windscreens for the microphones (just in case the wind cries Mary), a strong carrying case (which means it’s a case made for carrying), a 3D audio recording cable (now in color! ), a USB charging cable (because power doesn’t just grow on trees) and of course, Jim Head. Wait… Jim WHAT? Yes, Jim Head… a snazzy new eco-friendly creation designed specifically by Hooke Audio to help save the world. So, what’s this whole Mr. Head thing all about? Basically, it’s a fake dummy head. Sorry, Jim… I don’t think you’re a dummy. You know it’s just an expression. Chill out, bud. Can I continue? Thank you, kindly. Now, Jim isn’t just any dummy head; he’s a dummy head specifically made for wearing the Hooke Verse headphones. Sometimes, you actually need to be a part of the action, but that’s hard to do when you’re the one wearing the cans. 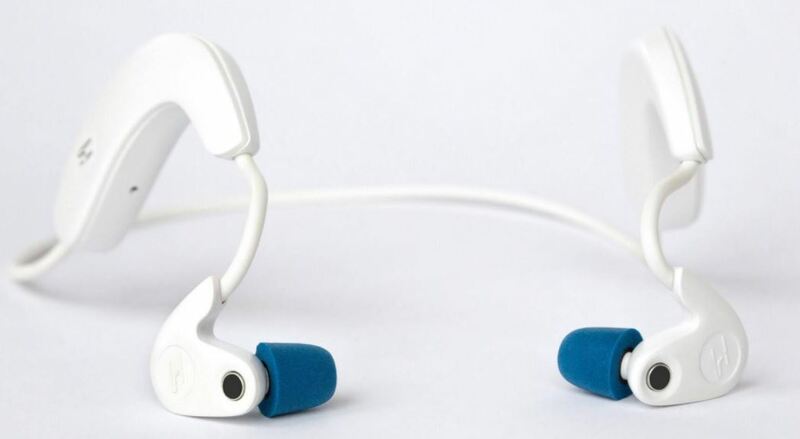 Hooke’s packaging leftovers transform into an ingeniously designed reusable headphone wearer. Strap the Verse headphones onto the Jim Head and go mingle, for god’s sake. The design even has a slot designed to hold your phone, this way the Jim Head can even record video. If you don’t envy Jim Head, then you should reconsider your life, because these things are comfortable as all get-out. The first thing we did was to switch out the ear tips. We used the large sized foam tips and they conformed extremely well with our ear holes; forming a tight, but not deafening, seal. Everyone here has extremely large ears, almost freakishly large, and we didn’t have a trouble finding a good fit. The build quality feels very durable, which is no small feat considering how flexible they are. The Verse isn’t exactly the most graceful of gadgets. 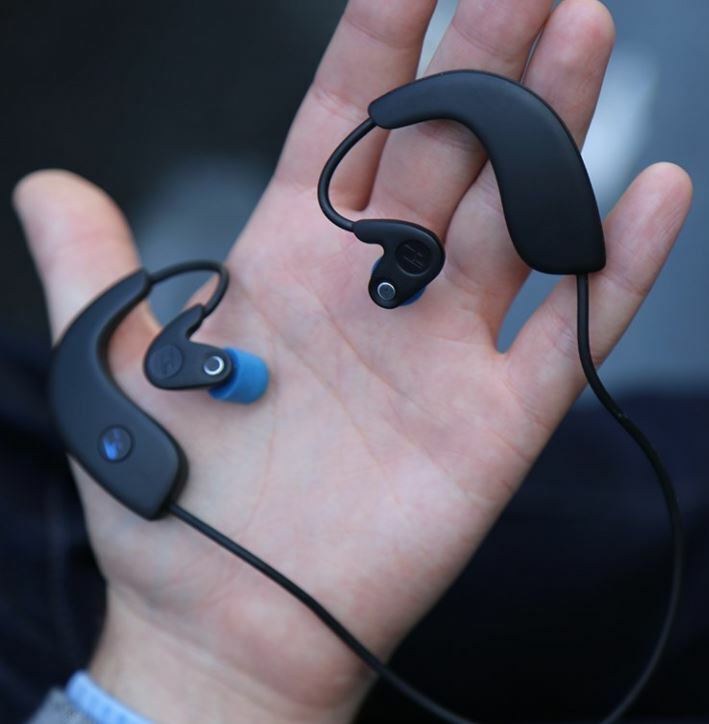 It’s a bit larger and clunkier than other earbuds, but then again, other earbuds don’t offer 3D sound. It’s really not that much of a drastic sacrifice. Plus, it’s a technology that is only going to keep shrinking as the development improves. The sound quality itself is distractingly excellent. We found ourselves drawn to the amazing audio, which at times, even distracted us from any of the videos we were watching. The Hooke Verse provides you with a spatial awareness that is hard to communicate without having shared the experience. It sounds like the future; a swirling, spiraling and disorientingly real experience. All we could think about during our listening experience was how this is going to affect virtual reality and augmented reality. There is no other affordable portable audio product that even comes close to matching the immersive experience of the Hooke Verse. What does this mean for the future of music concerts? For sports events? For theatrical productions? Does this mean I can experience living in the jungle without the debilitating effects of being eaten by an angry gorilla? Do gorillas eat people? How can this affect the classroom? The amount of potential is truly staggering. We’ll be the first to admit that there is going to be a bit of a learning curve, as far as the actual recording process goes. Recording in 3D is a little more complicated than your standard mono and stereo recording. When you download the smartphone app, you’ll see a lot of features and level adjustments that might seem alien at first, but it’s easy enough to pick up with some experience. While the smartphone app does include basic tutorials, you’re going to have to play around with the features yourself to really get a feel for it. One of the most fun parts of getting a new gadget is to tinker around with it anyway, right? Some people might be better off watching tutorial videos, since the app might be a little short on details for beginners. Hooke Audio wanted to make sure that the Verse wasn’t limited to only recording on smartphones. The Verse is compatible with Android, iOS, GoPro devices, DSLR cameras, field recorders and pretty much any other audio device you can think of. And remember, once the audio is recorded in 3D, it stays in 3D. Whether you’re wearing the Verse headphones or not. In order to unleash the power of the binaural audio, you will need to have your phone and the app loaded up and ready to go. Your phone acts as the audio’s monitor, no matter which device you share the audio with. There are a few things that you should be aware of before you download the smartphone app. First off, it is free download – but naturally, there is a caveat. While, yes, the app itself is free, you’ll have to pay to remove the watermarks from video recordings, and you’ll have to pay even more if you’d like to unlock additional audio filters. While some companies view smartphone apps as an additional profit funnel, it’s a hard argument for customers to digest after they’ve just spent a decent chunk of change on the headphones themselves. While the audio filters are definitely worth the extra expense, it might surprise, and even anger, some of you who were expecting for unlimited functionality right out of the box. Placing a premium on removing the watermark feels like a bit of a money grab to us, especially since the 3D audio relies on the smartphone app. If you’d like to get a better feel of what 3D audio sounds like, we’d recommend checking out Hooke Audio’s website. On the Verse’s page are several videos. In these videos, you’ll be able to hear the difference between standard phone recording audio and 3D binaural audio. The difference is startling. Listening to the 3D audio caused in us a sensation similar to ASMR. It was relaxing, amazing and chill-inducing. Perhaps what excites us the most is the Verse’s social and creative potential. 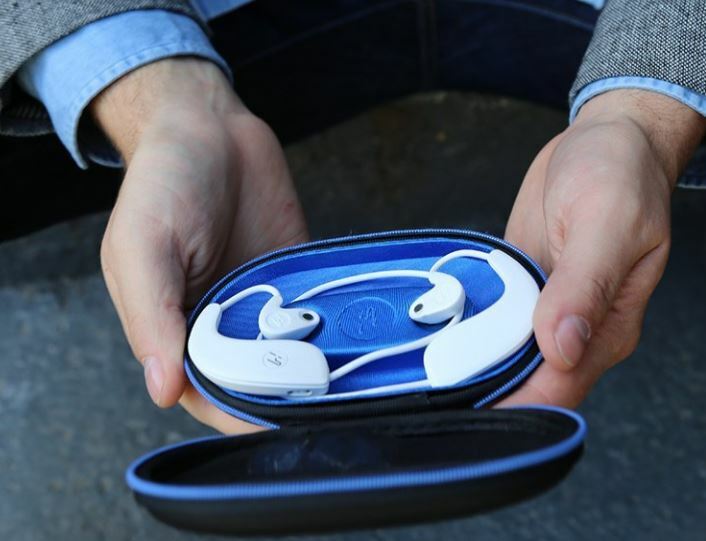 The ability to accurately share the audio of your surroundings, with anyone else in the entire world, makes these headphones not only a consumer gadget, but a communications game changer. It doesn’t stop at being a means for socializing. We foresee a technology, probably in the form of smartphone software, that will one day allow us to create our own virtual reality environments to share with the world. This is a very important step towards making that happen. The future is looking very promising. With creative, unique and custom products like the Hooke Verse consistently being fed through the pipeline, we stand on the precipice of another media revolution. 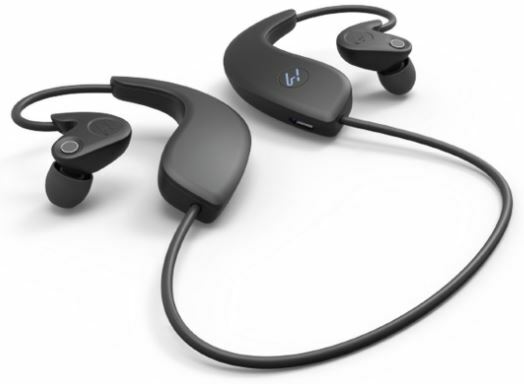 The ability to capture 3D audio with only a pair of Bluetooth headphones and a smartphone feels like a “giant leap for man”-type moment for the future existence of virtual reality. As 365-degree video recording becomes more accepted and embraced by media and hardware companies, the need and desire for 3D audio technology grows. Hooke Audio has positioned themselves to be the face of the binaural sound revolution.